The Smart & Final Company focuses on a retail business that renders foodservice and groceries to its clients. Also, the stores are popular for providing its client with items at a warehouse price. It was founded in 1871 in Los Angeles, California by Herman Hellman, Bernard Cohn, and Jacob Haas. At first, they started their grocery business in a two-story building and provided people with the basic goods needed on those days. Currently, it operates in about 300 stores in California, Utah, Idaho, Washington, Nevada, Oregon, and Arizona and it has more than 10,000 employees. Meanwhile, the workforce enjoys competitive and comprehensive benefits package including flexible hours, 10% discount on all its stores, competitive benefits, and a retirement savings plan called the 401k. Finally, people love working at the company because they are given the opportunity to grow and learn about various fields. The culture is diverse, the management is supportive, and there is always room for improvement for the staff. How old do you have to be to work at Smart & Final Company? The company only hire people who are at least 18 years of age and above for entry-level positions. Furthermore, they require applicants to have at least be a high school graduate, or at least have a GED. Department Clerks: The Department Clerks are required to assist customers, maintain cleanliness of their areas, and prepare the product displays. They must keep the store shelves neat, always stocked, and organized. Finally, they are also expected to receive and properly inspect products before putting them on shelves. Full-Time Distribution Center Clerk: This position’s responsibilities include providing clerical assistance in the control center of the company. He/she must be knowledgeable in the preparation of paperwork, such as labels for the order, add-ons or delayed billing for the stores, and answer calls as needed. Full-Time Meat Lead Associate: Some of the responsibilities of this position is to maintain the freshness of the meat products of the company by implementing the standards required in a consistent and timely manner. He is expected to work closely with the Meat Merchandising Manager and to report the sales, shrinks control, gross margin, and other issues. Full-Time Order Selector: This job position requires one to fill orders per request of the customers or the stores. He/she must also directly report to the Warehouse Area Manager. Some of his/her duties include picking up equipment and materials from an assigned area, fulfills the safety checklist, obtains the order, and takes pallets to the wrapping machine. Full-Time Person in Charge (Night Crew Lead): Some of the responsibilities of this position is to receive stocks, do inventory, and perform other services. He/she must also be knowledgeable about the basic bookkeeping responsibilities. Furthermore, he/she must carry store keys and report directly to the Store Manager or the Senior Assistant Manager. Full-Time Produce Lead Associate: The produce lead associate is required to implement the company’s product sales and be able to maintain the freshness of the products at all days of the week even on weekends. He/she reports directly to the Store Manager and works hand in hand with the store management team. Full-time Truck Driver: This job position requires someone to operate a trailer, or a tractor. He/she will be directly reporting directly to the Transportation Operations Manager and must conduct himself according to the recommended driving procedures. Furthermore, the truck driver must transport cargoes of the company to and from specific locations in timely and safe manner. Load Crew: The load crew is expected to maintain a store section assigned to him. They are also required to receive, order, or stock products with the aid of proper equipment. Furthermore, they are projected to mark prices of the goods, stock the shelves, and set up promotions. Payroll/ Office Coordinator: This position involves clerical support in various fields of the company such as in Transportation and Traffic and in Distribution Centers. Some of the duties anticipated of the applicant are to monitor the attendance and other related issues of the staff, prepare payroll using the Kronos or Ceridian Dayforce, and perform other miscellaneous duties. Service Clerks: Service clerks are tasked with putting the groceries of the customers in bags, and always taking care not to get them damaged. They are also required to assist customers by helping bring their groceries to their cars. Lastly, they must maintain cleanliness in their area of assignment and assist the cashiers as needed. 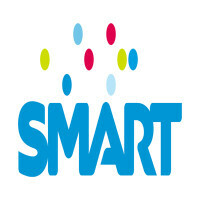 Interested applicants can visit Smart and Final’s official website and navigate to the Careers page, there they could check the positions available, and download the Application Form plus the Identification Data Form for the said position. You can also have the printed copy through their Human Resource (HR) Office. Then, you can send it through email of the HR provided on their website or you can send it through fax. Internal applicants must be employed in their current positions for at least six months, and they have aready completed the Associate Job Opportunities Application form. For external applicants, make sure that you fill out each information in the application form. There is no need to send a separate resume. As such, make sure that you don’t leave any questions unanswered. Finally, submission of the application does not automatically guarantee that you will be interviewed by the HR. However, if you are shortlisted for the interview, make sure that you to answer the questions accordingly. The company has sponsored activities in many poor communities. They donated money to local charities, offered financial support to civic groups, and they are also doing their part in the fight to end hunger in America. They supported the ‘500 Wishes for Olive Crest Children’ and the ‘Phoenix Heart Walk’. Also, they host annually the Consumer Conference to make the business transparent to both household and business customers. Financial information was shared last May 24, 2017, and it was even broadcasted live at the official website of the company. Furthermore, the company is known for its quality products and affordable price. Plenty of top chefs and culinary experts are actually known to shop at Smart and Final because of the variety of ingredients available and great savings offered. Finally, the corporation is visible on various social media platforms such as on Facebook, Twitter, Pinterest, and Instagram. With this, clients around America can give feedback regarding their products and services easily. 1 How old do you have to be to work at Smart & Final Company?